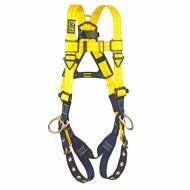 Delta™ No-Tangle Vest-Style Harness, Stand-up Back D-ring and Side D-rings, tongue buckle straps. 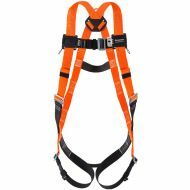 Delta™ No-Tangle Vest-Style Harness, Stand-up Back D-ring, tongue buckle leg straps. 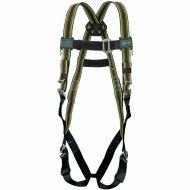 Miller DuraFlex™ Ultra Harness E650/UGN, Green, single Back D-ring, comfort touch back D-ring pad. 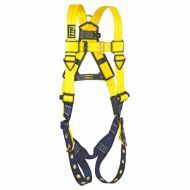 ExoFit NEX™ Arc Flash Rescue Harness, back D-Ring, front and back web rescue loops. 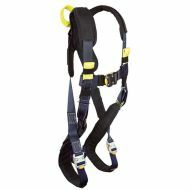 ExoFit™ XP Arc Flash Harness with back and front web loops. 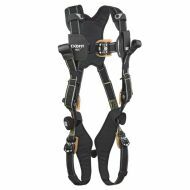 Titan™ II Hi-Viz Non-Stretch Full Body Harness with Mating Buckle Leg Straps from Miller by Honeywell.